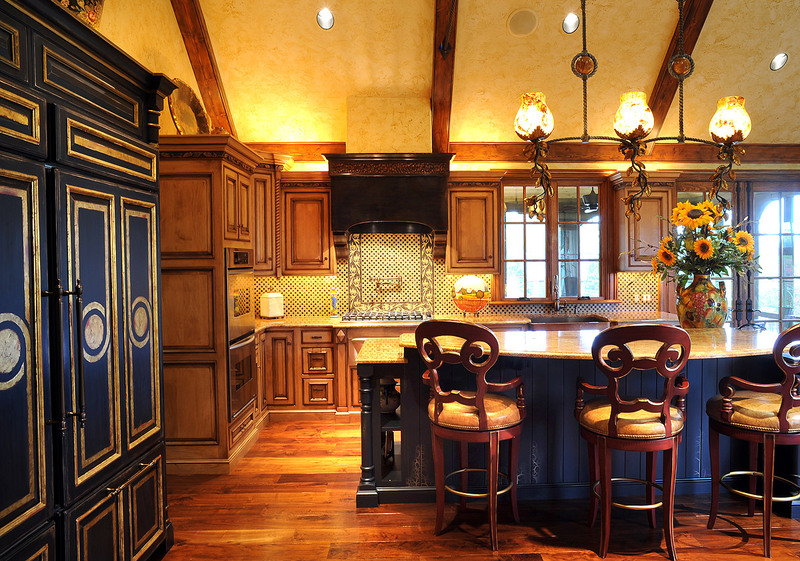 This color palette was inspired by a piece of pottery brought home from Italy, and from it – a breathtaking kitchen with regal overtones! 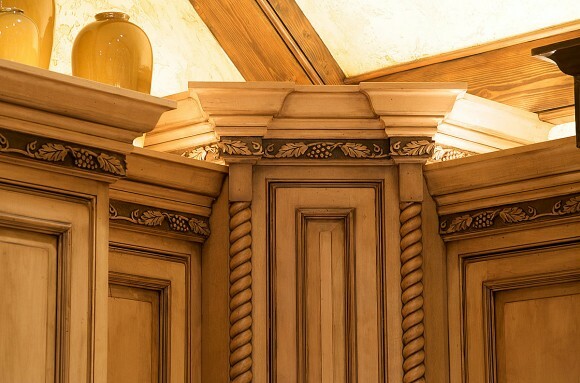 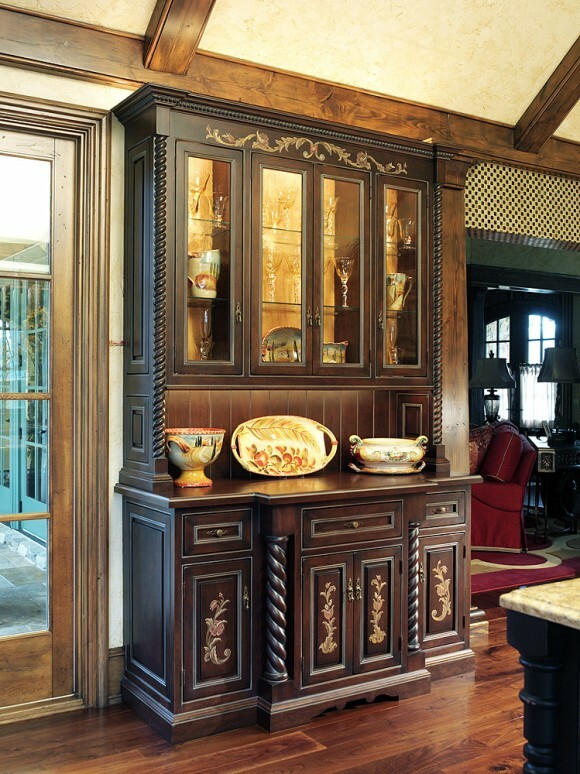 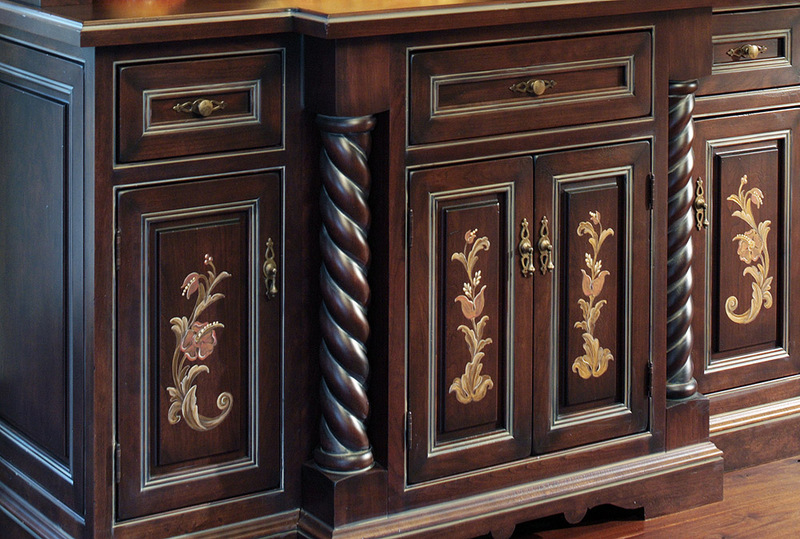 Maple cabinets were distressed for that feeling of antiquity, but then hand painted in gold detailing for that royal air. 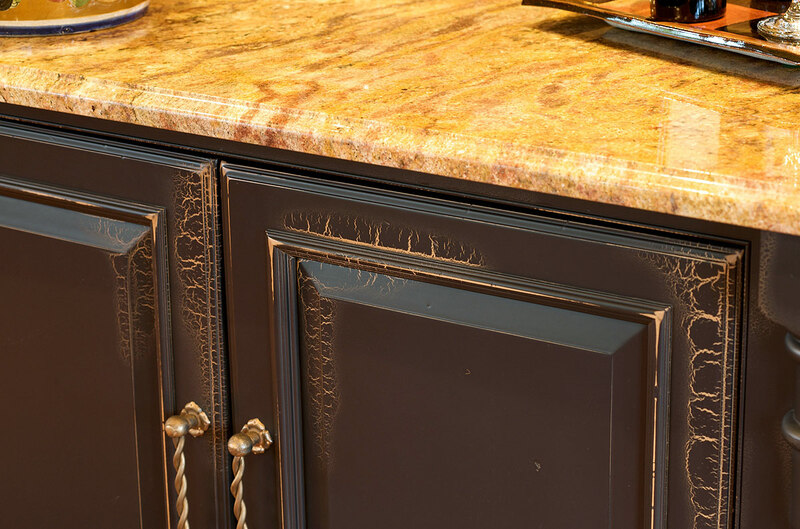 They were then finished off with a custom crackle finish. 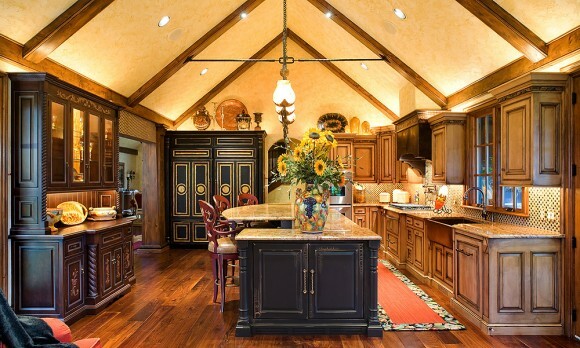 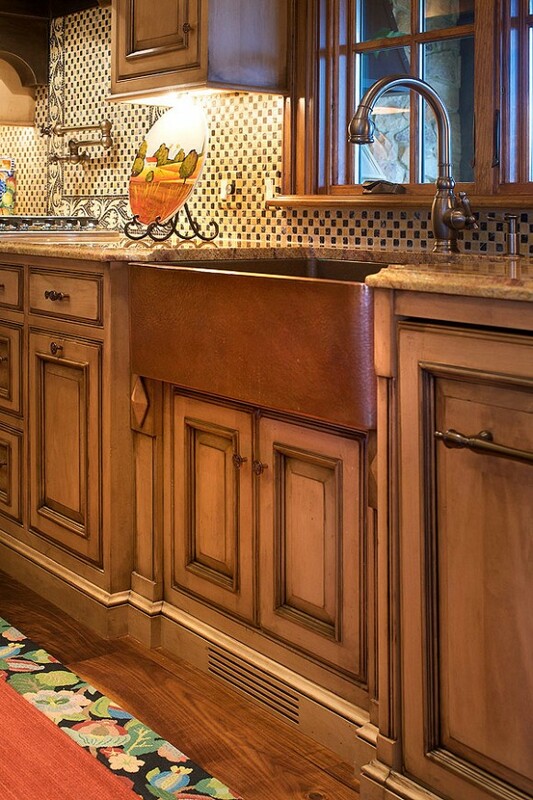 Additional ornamentation includes turned rope posts, carved grape crown molding, and a hammered copper apron-front sink to carry the gold color throughout. A real stunner!